Excitement for this film has undoubtedly been high for this summer blockbuster. From its clever marketing campaign, slowly releasing information like a trail of breadcrumbs, to the release of nostalgic posters and trailers that revealed a monster movie with homage’s to past filmmakers such as Spielberg (who produces this very film) and heart. You can imagine my surprise then when the screening I went to was practically empty. Although, I knew that this was not an omen hinting at a possible disaster no, instead I sat there, confident that this film was going to blow my mind. And it did, and rest assured yours will be too. The problem is where to start since it is not just a monster movie, its a declaration to a filmmaker’s passion, a tale of pure friendship, love and struggles. Such a mixture of elements then create something unique and add a sense of depth that some blockbusters dare tap into. 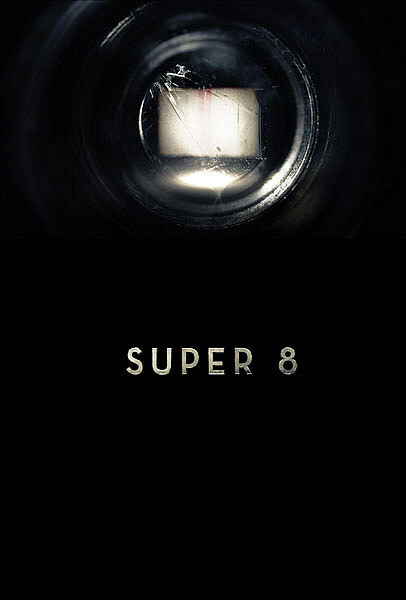 ‘Super 8’. At first, hearing this name was unusual as I ashamedly did not realise what a super 8 was, but upon learning it was very intriguing to speculate a plot revolving around this camera. Back when Cloverfield sequel theories were running around, I was on the bandwagon thinking this was going to be a prequel of some sort. How wrong I was, and from there more small details were released: the casting of a group of kids, to a secret website discovered from the flickering frames of letters hidden in the first teaser. Despite not being the film itself, such marketing has to be mentioned as it has created over the months intrigue, mystery and speculation, and the film does both a good job of answering the viewer’s questions but also not delving into long exposition. In other words, it shows you what you need to know, and the rest of the fun comes from imagining the remaining back-story. 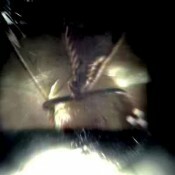 Then there is the monster, which the Super-8 captures, which in a Cloverfield-esque style is revealed slowly but surely. What was brilliant was that its scenes before the reveal had an incredible sense of dread and intensity. Even better was that it retained mystery behind the attacks; one scene depicts an oncoming onslaught signaled by metal being launched into the air. Yet what is more than just a build up to the creature’s reveal is the nature behind its presence; as said with mysterious occurrences ranging from flying objects to disappearances, it creates an air of intrigue that ultimately uncovers a deeper story. Subsequently, we pick up the pieces behind where the creature came from, and how the army is involved with its history. The result is a more moral approach than a simple presentation of unleashed havoc. That isn’t to say there is no action, one brilliant set piece involves the army tearing down a block of suburban homes as the children run through the destruction, finding their way to answers. When the monster is finally revealed, it is quite surprising to see that such a thing capable of horrible actions turns out to be scared, desperate and well, human. The design of the monster is great as well, from its scuttling arms to its shockingly humanistic eyes, but the setting of its home is also a sign of its character; a series of tunnels reflecting the need to hide and to sneak around from tormentors. Going back to the children, it is them who act as the stars of the show, successfully bringing back a nostalgic feel to earlier movies depicting a youthful group’s adventures, whilst successfully not appearing to be outdated either. Through them we have touching stories of loss, conflicts and love, but most effective is the banter they share onscreen that provides comedy and really helps to ground them as believable characters. However they are all supported by a great cast of adults, including Joe’s father, the troubled deputy trying to manage the problems of a confused town whilst coping with the loss of his wife. This is the main emotional storyline that extends to Joe’s relationship with Alice as they deal with the tensions between both their fathers, who conflict over the circumstances of Joe’s mother’s death. With such character immersion you begin to feel that the monster is more of a dramatic backdrop that fleshes out all of these other stories, yet this is not a weakness as it demonstrates how relationships come together and amend. By the conclusion of the film, after the reconciliation of the monster from experiencing that some good remains i.e the innocent children, the adults come together to forgive, and as the otherworldly creature sets off for home, we see Joe and Alice hold hands in the bewilderment of this wonder. This tender and heartfelt emotion resides in the entire film, and the ending is an honourable tribute to E.T’s, yet differentiating with its own unique story that evokes gripping, emotional and spectacular storytelling that results in the most outstanding summer film in recent years. 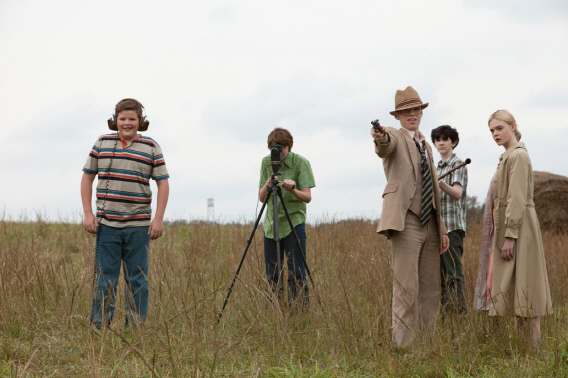 There are currently 1 Comment on Classic Moviemaking: Super 8 Review. Perhaps you would like to add one of your own? Great review!! I agree completly with you, Elliot!! Any horror/monster movie that can keep the suspense and energy up in a movie without actually allowing the audience to even glimpse the monster for the first 2/3’s of the movie is brilliant in my book!! Definitely a new classic, and a fabulous ride! !